The current version of Thunderbird 1.5.0.8 has a major bug that causes some mail that is downloaded from the server to disappear in the email client. 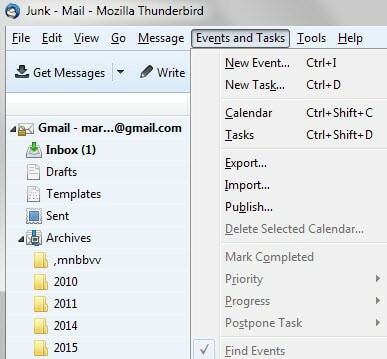 Thunderbird displays the number of new mails that is in a folder correctly, but when you click to open that folder, the new mail that should be there is not listed in it. The first time I have read about this message was on the mozillazine forum where a user named soulek described the problem that he encountered after he upgraded the email client to Thunderbird 1.5.0.8. One solution would be to downgrade Thunderbird 1.5.0.8 to a prior version which should fix this immediately. A better solution would be to download a nightly build of Thunderbird and use that. The bug was fixed and all coming nightly builds should include the bug fix as well. The most recent nightly build for example is fixed so that all emails will be shown correctly in the program. Thunderbird 1.5.0.9 which will include the fix will most likely be released sometime in December which means the only way to fix this bug now is to either downgrade or install a nightly build. Go to the Thunderbird profile folder and delete every msf file. 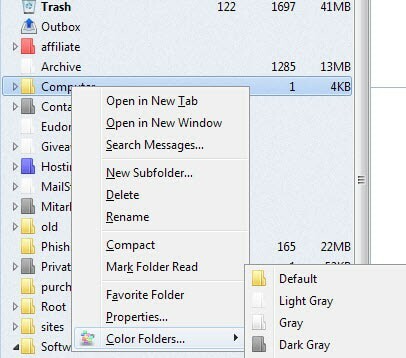 Don't worry,Thunderbird will rebuild them once you click on such a folder in Thunderbird. The missing mail should appear. Everything seems to have reverted back to normal for me using the above nightly build. Let me know if you encounter errors or if this method is not working for you. Update: The MSF files that you are deleting are index files that do not contain the mails, just information about them. If Thunderbird cannot locate them, it automatically creates them anew on the system. The current version of Thunderbird 1.5.0.8 has a major bug that causes some mail that is downloaded from the server to disappear in the email client. I backed up my profile (copied and pasted to my desktop) then uninstalled 1.5.0.8, then installed 1.5.0.7. Nothing changed. Is “backing up” this way OK or do I need to do something else – like copy and paste that “backed up” file back where it was origninally?